Phar Lap – Greatest Race Horse In Australian History. Phar Lap was arguably the greatest racehorse in Australia’s history, not only did he race, and win, a huge number of group one races, but he captured the hearts of the Australian public during an incredibly difficult time in their history. Phar Lap was foaled during the great depression and ran his first race as a two year old, when many people were struggling to survive. He was such a successful horse that betting on him was such a sure thing, and helped a large part of the population to make some desperately needed money. 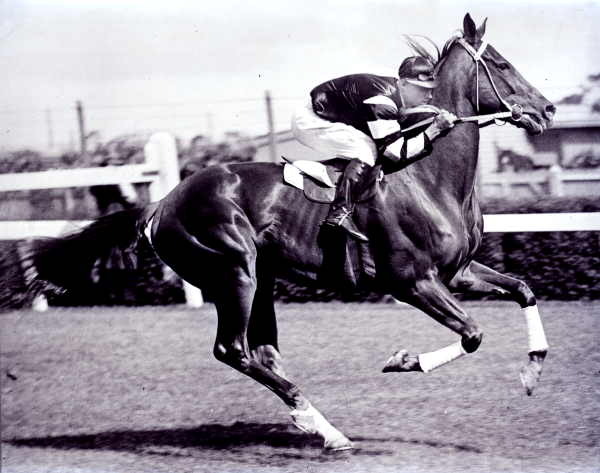 Phar Lap was called the Wonder Horse, Red Terror, Bobby and Big Red. He began life as a chestnut foal in Seadown, near Timaru in the South Island of New Zealand. He was sired by Night Raid, from Entreaty by Winkie. He was by the same sire as the Melbourne Cup winner Nightmarch. When Phar Lap first arrived at his new home after having been bought as a yearling for 160 guineas, his new owner was absolutely furious. The colt was gangly, out of proportion and had warts all over his face. When he was still young, his trainer Telford gelded him in the hopes of getting him to concentrate on racing instead of mares. Phar Lap finished stone last in his first race and did not place in any of the consecutive three races. Punters took no notice of the funny looking chestnut gelding, although he had a good pedigree. Sometimes pedigree isn’t everything. In total, the great horse ran 51 races, winning 37 of them including a Melbourne Cup, two Cox Plates, an AJC Derby, and 19 other weight for age races. Phar Lap was sent to America at the age of five, where he appeared occasionally at special appearances for horse racing betting. One morning his strapper found him on the floor of his stall in severe pain. He died a few hours later. His hide was kept and is on display at the Melbourne Museum, his skeleton at Museum of New Zealand Te Papa Tongarewa and his heart at the National Museum of Australia. 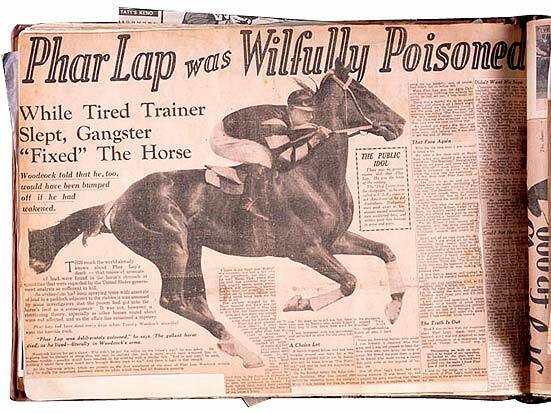 Recent testing has revealed that the legendary racehorse was poisoned, supposedly by the American mafia who was afraid that he would upset their illegal race results! Should You Be Taking Advice from Tipsters?